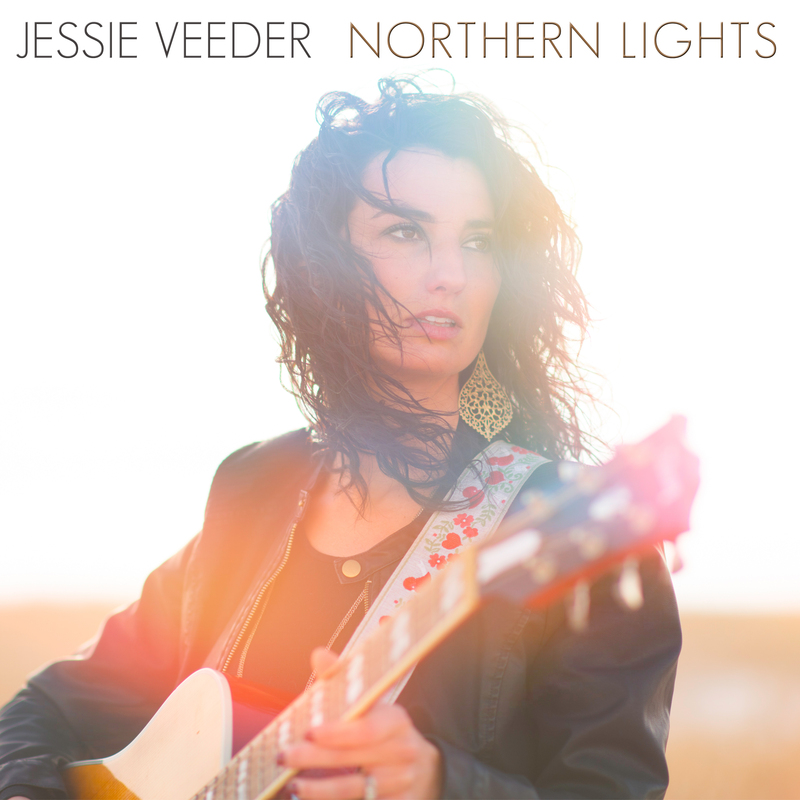 In her Nashville label debut Northern Lights (WarnerWorks), Watford City, ND native Jessie Veeder tells a story of modern life on the High Plains that is grounded in a clear sense of place. This album feels like North Dakota, and yet there is much here for any lover of great country music to connect with, no matter where they come from. The opening track, “Horses and Home,” sets the tone for the album – Veeder pulls the listener into Western life with a fiddle-driven ballad. By the end of the next song, “It Ain’t Easy,” she has introduced all the major themes of the album –freedom and independence, resilience, the importance of home and family – and done so in a way that is distinctly North Dakotan. The lessons we learn from horses and loved ones, the fierce ties to the land and one’s own home, the value of hard physical work, the constant wind and cold – taken all together, there are few other places Veeder could be writing from. Because her writing is tied to home and is so personal, Veeder is able to create clear, specific images that engage the listener, from “the dirt caked face of home,” to “Northern Lights/ Dancing on the edge of frozen fields.” One doesn’t have to be among the 750,000 people who live in North Dakota to understand the life that Veeder is singing about. Her lyrics take the listener there. But because her themes are universal, Veeder’s lyrics remain relatable. “Work,” the self-sufficient woman’s anthem, is the standout example of this. While there are not many women whose day-to-day work requires them to “get the chainsaw,” most will identify with lyrics about supporting a family and the feeling of “9 to 5 and 5 till bed.” “Posted” is also thoroughly tied to Watford City, ND and to Western North Dakota as a whole. As the oil industry encroaches further on landowners’ right to private property, ranchers like Veeder become more and more defensive of the land they love, “putting [their] signs up” to protect it. There again, Veeder’s passionate lyrics come from her specific experience, but they can be felt deeply by anyone in rural areas feeling the encroachment of government regulation, heavy industry, or suburbia. Country music is at some of its best when celebrating hard, honest work and deep ties to the land, and while that way of life is dying out, it still exists in most of North Dakota. When we hear songs like Florida Georgia Line’s “Dirt” and connect with their vague platitudes about getting one’s hands dirty, it seems to me what we’re really craving are songs like Veeder’s, that are tapping into firsthand knowledge of that way of life. While it’s not a lifestyle that every country fan experiences every day – growing crops, riding horse, building barbed wire fences – there’s a spirit in it that we are all connecting to and craving. It’s why songs about tractors become number one hits, why songs like Toby Keith’s “Should’ve Been a Cowboy” and George Strait’s “How ‘Bout Them Cowgirls” have resonated through the years. And Veeder’s cowgirl lifestyle is the real deal. If you’re looking for fresh, off-the-beaten-path music from a true country woman, Northern Lights is well worth your time. Jessie Veeder is clearly going places, but her songs make it equally clear that she will never forget where she is from. Bottom Line: Northern Lights as a whole compares favorably with k.d. lang’s Hymns of the 49th Parallel – lyrically complex, deeply rooted in a particular place, and set off by rich, smooth vocals. Don’t Miss: “Raining.” A dreamy, romantic number about a summer thunderstorm. Anyone who has lived through a long winter, either literal or emotional, will identify with the opening lines, and the relief of “a thundering breeze” on a hot, dry day is pure Plains. Follow me on Twitter for more country!